The ŠKODA Ring of Clare Cycle is a cycling sportive that forms part of the international ŠKODA Celtic Cycle Series and delivered in partnership with ŠKODA. Hosted in Ennis, Co. Clare on Saturday 27th July 2019, the town is preparing for a major cycling party. The event will provide two route options for cyclists – the Ring of Clare 160km and the Ring of Clare 120km. Early registrations will receive an exclusive cycling hoodie and be in a with a chance to win some great prizes from our event partners. The ŠKODA Ring of Clare Cycle sportive routes include the best of what Clare has to offer cyclists and visitors. 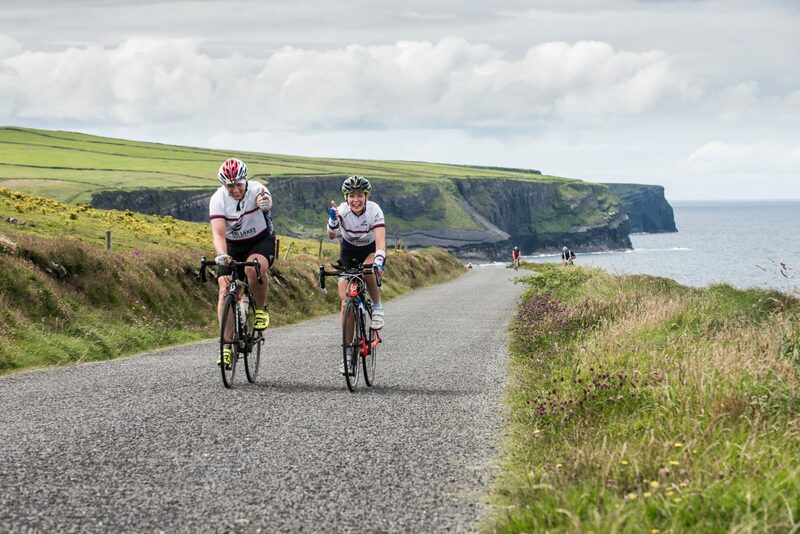 Cyclists will cruise along the Wild Atlantic Way, travel through the international tourism award winning Loop Head peninsula and along by the beautiful Shannon Estuary waters. The event takes in some of Clare’s best known local cycling landmarks. A grandstand ŠKODA finish will be waiting for cyclists and the renowned Clare welcome.